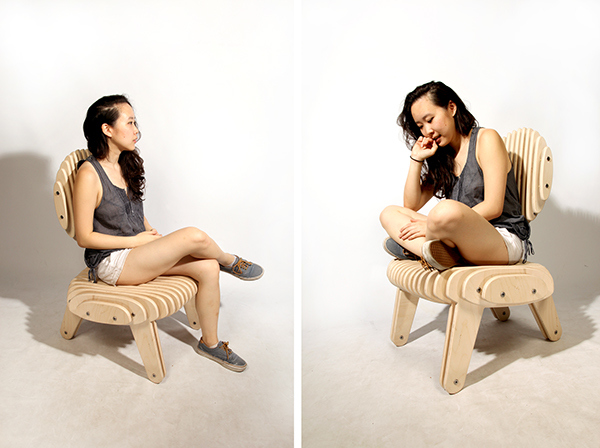 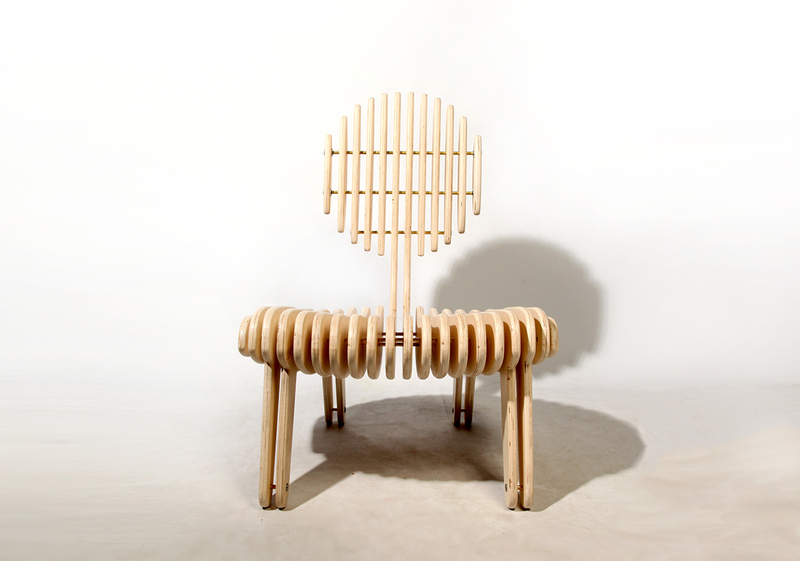 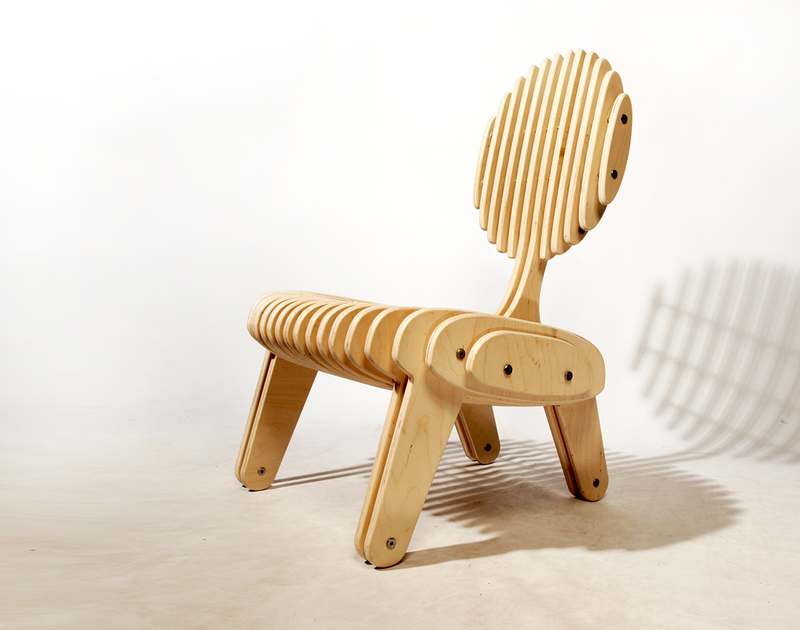 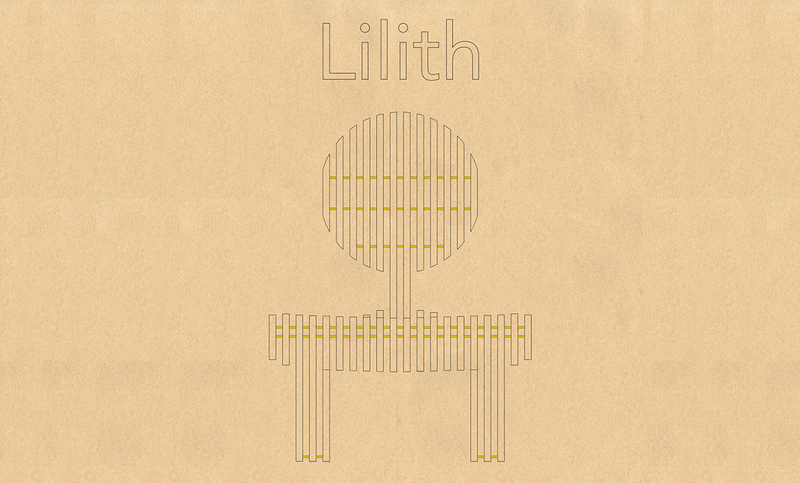 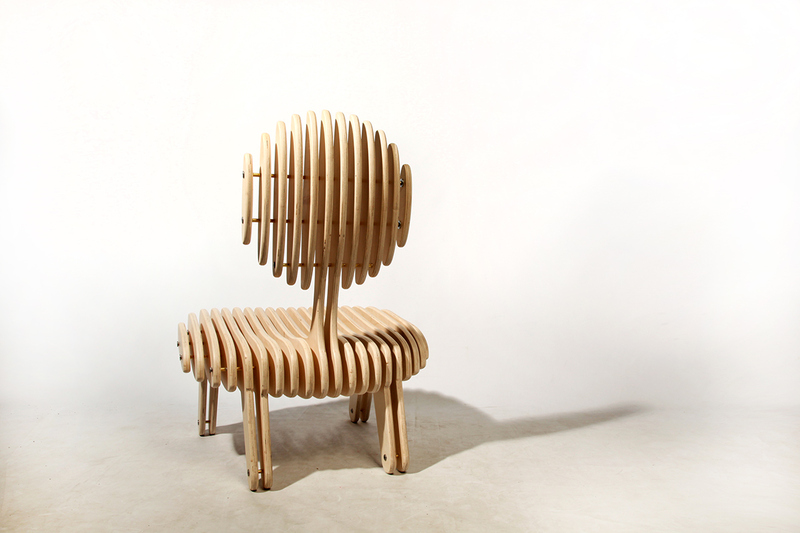 Lilith is a ready-to-assemble chair composed of CNC'd Baltic birch plywood, steel rod, brass spacers, and joint connectors. 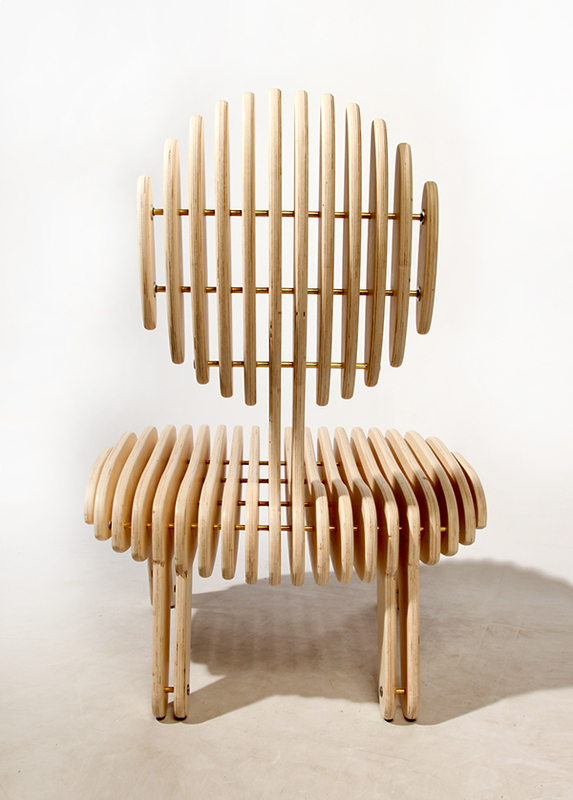 The chair's appearance changes from angle to angle and has subtle curves hidden throughout all the straight lines. 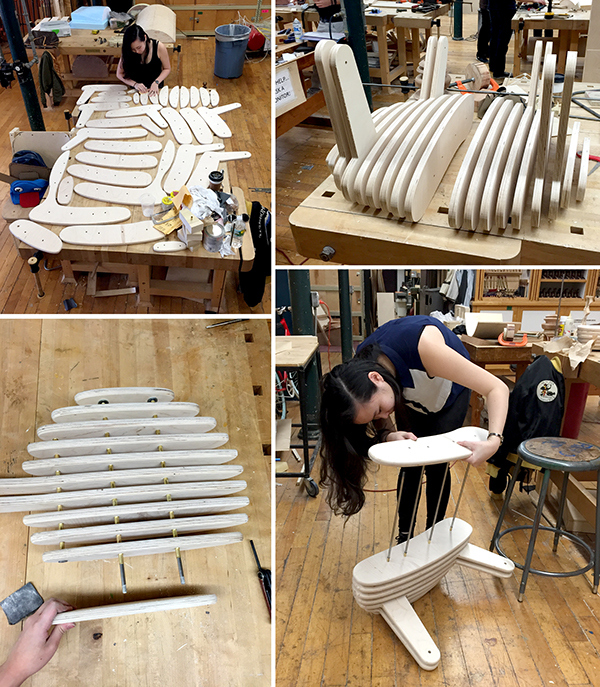 The edges of each piece have been rounded with a router and the wood is finished with matte polyurethane finish.